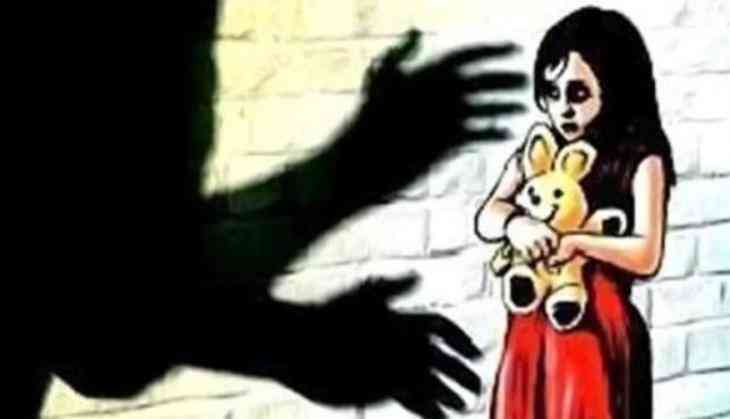 A minor daughter of a Delhi Police personnel was allegedly raped by a juvenile, police said today. She told police that her cousin introduced her to the accused, whose father is also a Delhi Police personnel, six months ago and they became friends, he said. Police said the victim lives in a society in Dwarka North while the accused lived with his family in Haryana's Bahadurgarh, the officer said. One day, the accused called the girl to his house, following which he gave her some intoxicants and made her obscene videos. He allegedly raped her after threatening to upload her videos on the Internet, police official said. On Monday, the accused asked the victim to meet her but she refused. After which, he threatened the girl and barged into her house yesterday where he was caught by her family members, police official added. The accused was later apprehended, they said. The accused was sent to a juvenile correction home, a police officer said. Police also recovered videos from his phone, the officer added.